Harmonic waves are commonly generated by any equipment that utilizes capacitors, think VFD and a multitude of single phase equipment. You will probably have to install power factor correction to get the best from your generators and these capacitors also generate harmonics. Unlike faults, the harmonics generated are not likely to trip the equipment circuit breakers and thus affect the power supply system. It causes ripples in the voltage sinus wave, one effect this produces in practical terms is high voltage spikes which leads to pitting, these spikes are short duration and thus don't heat the circuit breakers enough to trip. The easiest way to get around this is installing a harmonic filter between the generator and load. A harmonic filter is just a transformer with a 1:1 ratio. As these spikes are short duration they should not be able to cross over from load to supply. Harmonic loads do one thing really well - they distort the waveform. Voltage harmonics distort the voltage waveform; current harmonics distort the current waveform. Either type may appear as oscillating amplitude and/or varying frequency. Almost everything connected to the distribution system will see the distorted waveform(s) - some things are affected rather noticeably for even small harmonic content while others can more-or-less ignore low-level effects. Be sure to note: each application / device has a different idea about what constitutes "low level". The electrical portion of your genset(s) is only one of the many items connected to your network. There are also transformers, cables, protective devices, other "load" devices, power supplies, lights, and so on. All "look" at the electrical waveform in one fashion or another - something that does not fit the definition of "normal" usually results in either a process trip or damage to the equipment. If you are having a standard frequency of 50 Hz or 60 Hz, harmonics distort that particular waveform in nth times, may be 3, 7 or 9 depending on type of distortion. They may be due to switching devices, ups or any other equipment in or around your area, the best way to eradicate this problem is using bandwidth filters, nowadays most of the panel are VFD driven and they have inbuilt filters. Harmonic loads are loads that cause harmonic currents to be injected back towards the source. 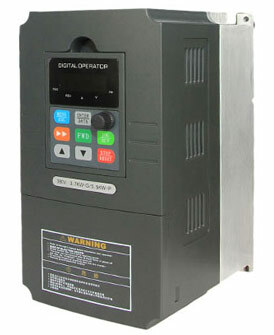 A VFD is a prime example. Most VFDs produce odd harmonics of 60 Hz, starting a 5th (300 Hz, 400 Hz, etc). If you put a scope (measuring current) on the input of the VFD you would not see the expected 60 Hz waveform. Instead you would see current distortion due to the addition of these unwanted frequencies. The resulting waveform often looks like rabbit ears. The reason for the current distortion is because a VFD is a switching device. The "load" is being turned on and off at a very high frequency. Imagine turning on and off your oven at 400 Hz. You would most definitely see a 400 Hz component at your service panel. What does it do? It disagrees with inductive loads. Inductive loads are intended to work with 50/60 Hz. The impedance of an inductor goes down with frequency. The higher frequency currents cause heating. Depending on the frequency it also causes circulating current.